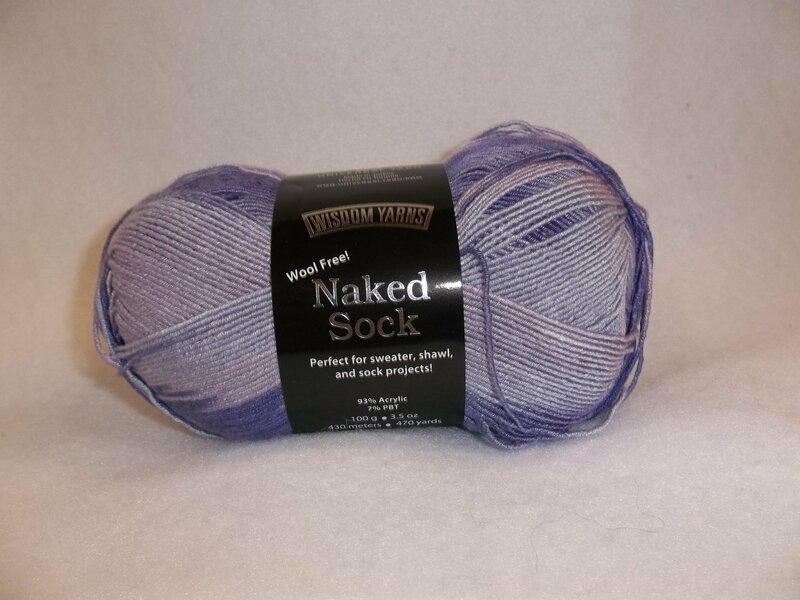 Naked Sock is a non-wool sock yarn with an elastic thread added. Works up wonderfully! Knits to 32 sts. and 42 rows to 4" on a US 2. Crochets to 2 sc. and 36 rows to 4 inches on a US E.